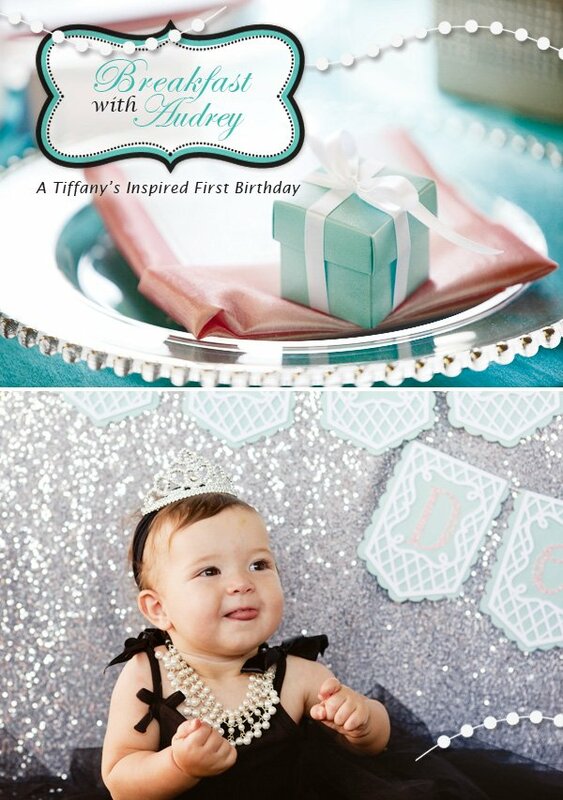 Audrey Hepburn inspired black birthday girl dress with pearls and a tiara! 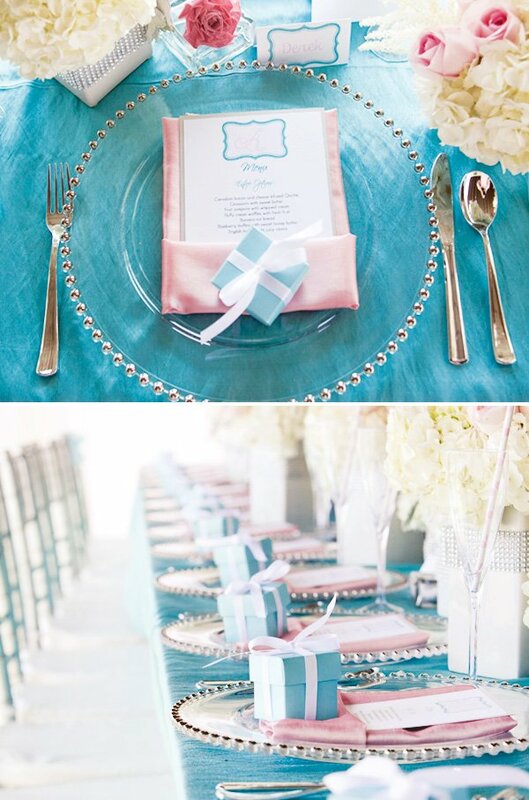 Ring pop favors in Tiffany Blue boxes tied with white ribbon! 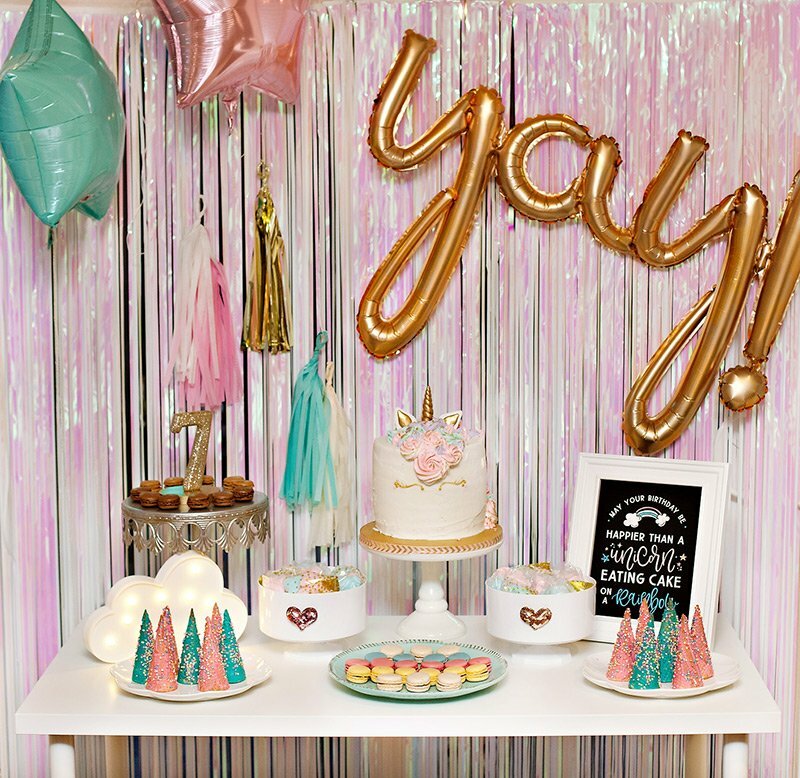 When you’re the daughter of an Event Designer who loves all things opulence, it’s going to be a sure bet that your birthday party will be a tad bit on the nontraditional side. Her name is Audrey Marie and she was named after the intelligent, elegant and oh so beautiful Audrey Hepburn. 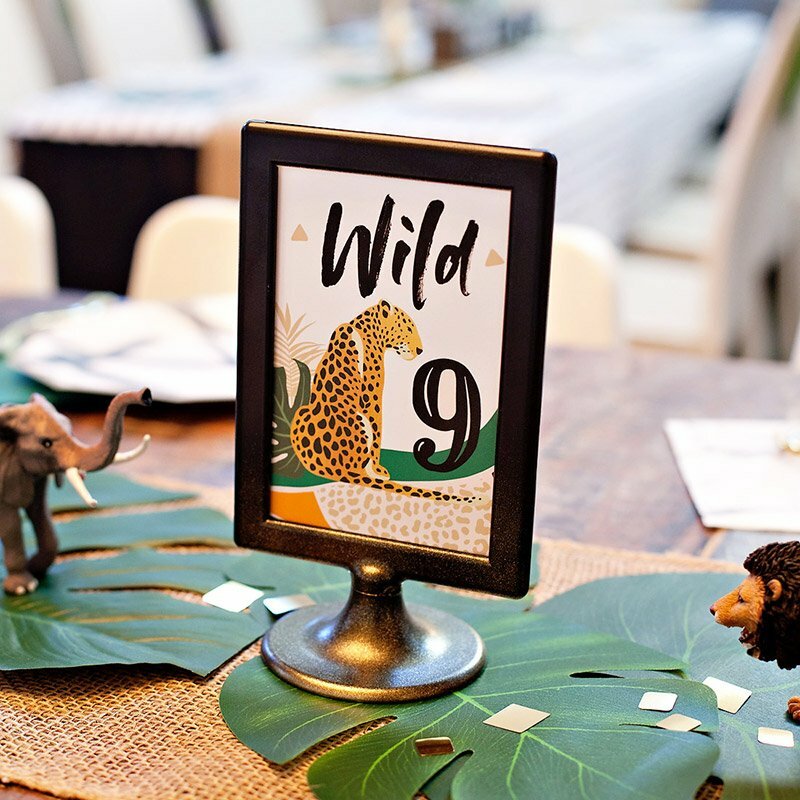 If there was ever a time to pull out the namesake party, a first birthday was the one to do it. What better way to celebrate then with a “Breakfast with Audrey” inspired luncheon with her family. The Entwined Design team created the concept and florals for the entire event and inlisted quite the team to pull of the vision. The oh so iconic blue was a given but we wanted to approach the gathering with a softer touch. Sans the Black and add Pale Pink with Silver accents. 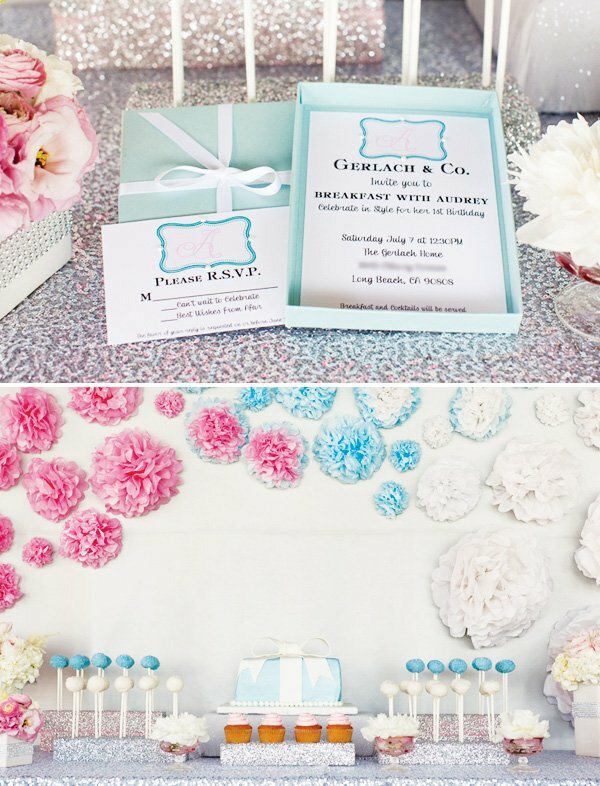 The linens were custom made by Glow Concepts and coordinated with the gift boxes perfectly. Inside the gift boxes were edible Ring Pops of course. Pink napkins held menus adorned with Audrey’s initial hand made by Events Inspired by Love. The Entwined Design team loves flowers, adores flowers…..so you can guess that we didn’t skimp in that arena. 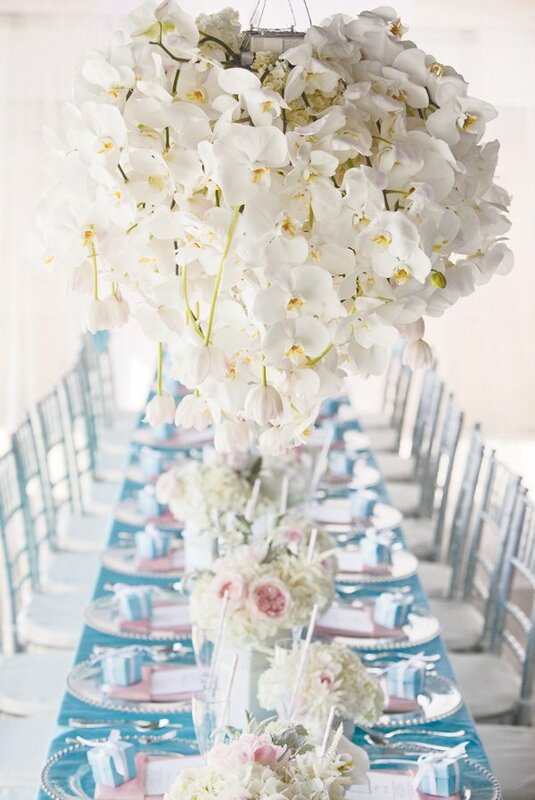 Clusters of White vessels lined the center of the family style table and held florals such as Peonies, White Hydrangea, Dusty Miller, Lisianthus, Ranunculus, Garden Roses, Parrot Tulips and Phalaenopsis Orchids. Two large Chandeliers were constructed out of White Hydrangea, Parrot Tulips and several stems of Phalaenopsis Orchids. 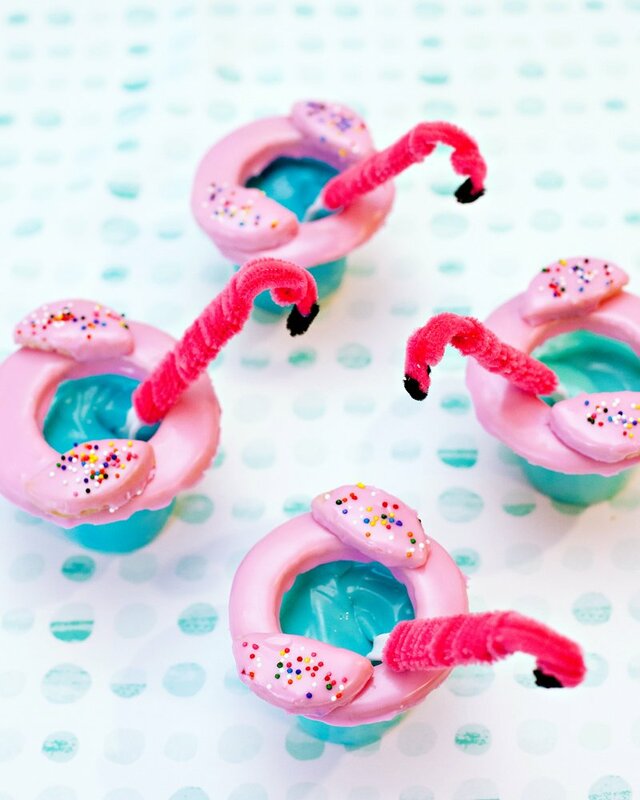 What is a birthday without desserts and we wanted to make sure to appeal to all appetites. 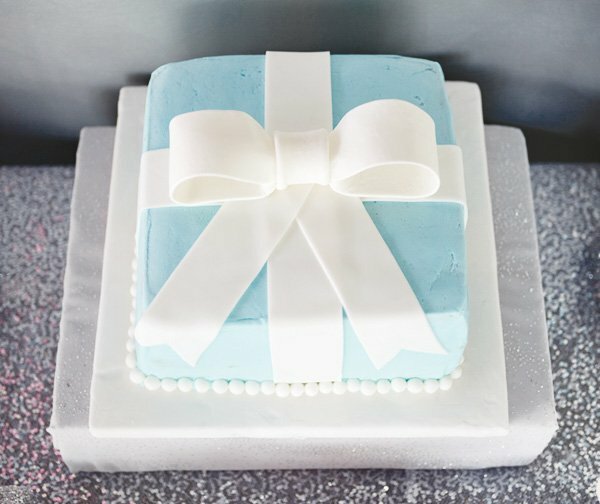 A family friend Laurie Hocker created a Tiffany’s box cake filled with delicious Cherry filling, along with Cake Pops filled with Lemon and covered with White Chocolate sugar icing. 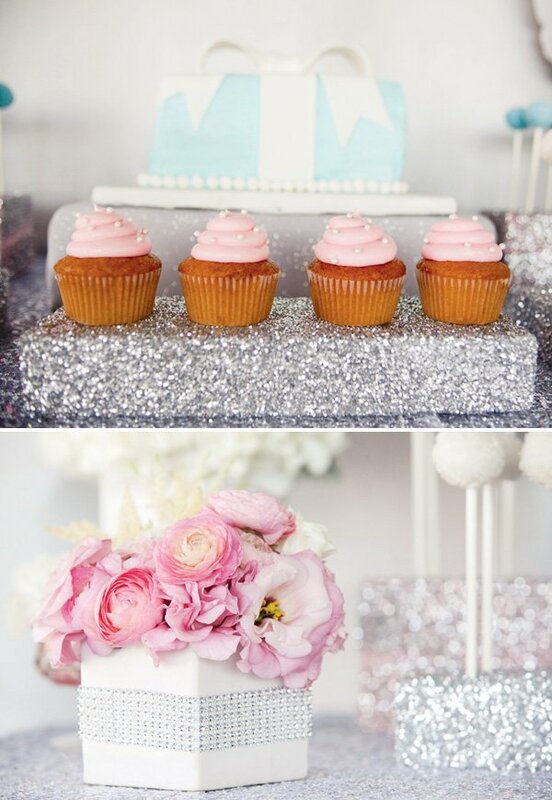 Also available were Macaroons and marble cupcakes covered with Pink buttercream and adorned with pearls of course. Family luncheons wouldn’t be complete without drinking Mimosa’s out of bubbly Pink straws. The dessert backdrop was covered with paper flowers hand folded by the ED crew (this takes so much longer than you think). The paper flowers along with the hand cut Styrofoam covered with spray adhesive and glitter are great DIY’s for your party and can be translated to fit any theme. The party always has a theme and this namesake party lead to the attire that the birthday girl rocked all day long. Thanks to Ashley with etsy: kissthegirls she created an Audrey Hepburn dress to bring this party to its knees. A tiara and custom sunglasses finished off this look to a tee. To literal… she’s one, I think she can pull it off. this is one of the prettiest parties I've ever seen! 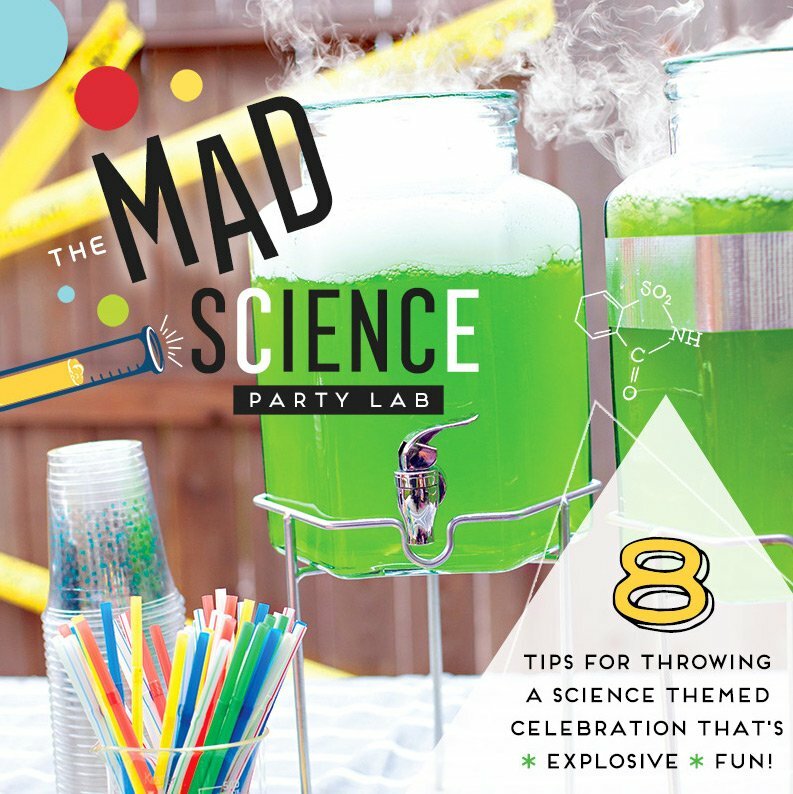 thank you so much for sharing our party with your readers. All our love! How did you make the styrofoam cubes? 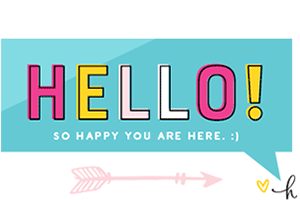 Steph: send us an email to [email protected] and marci can send you instructions! 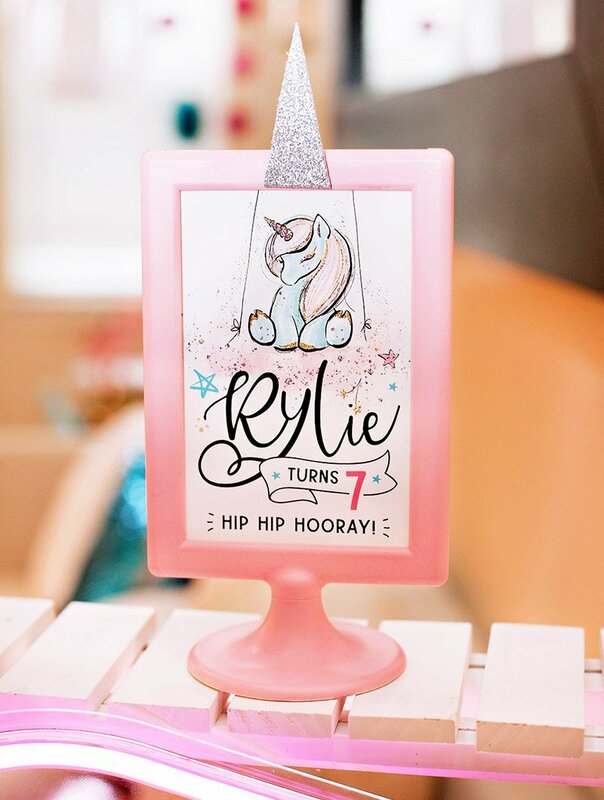 I’m naming our daughter after Audrey Hepburn also and I’m 100% in love with this party idea! I’m hoping I remember this when our girl is 1 (she won’t be born until March. haha). How did you make the tiara headband? How did you make the Styrofoam cubes and the tiara headband. Also did you play any games at this party if so what games? Asking because I’m planning my daughters 1st birthday and going for the same them.